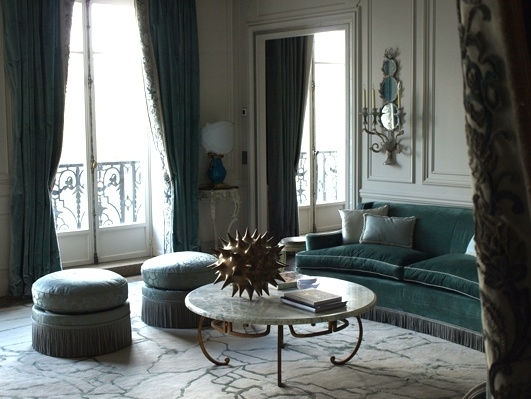 While researching another story, I came across this beautiful apartment in Paris designed by Chahan Minassian. It was also published in the September 2010 issue of French Architectural Digest. 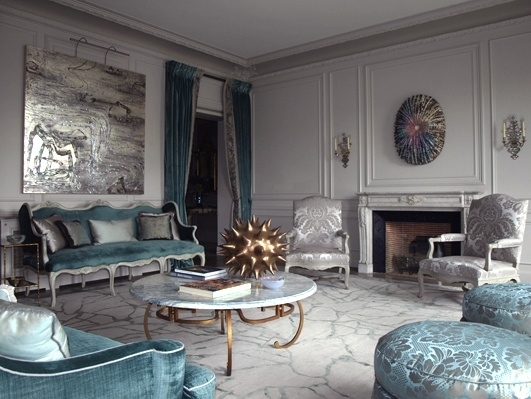 From what I could glean from the article without pulling out the French/English dictionary, the pied-a-terre was designed for a couple who's primary residence is in Beverly Hills, CA. 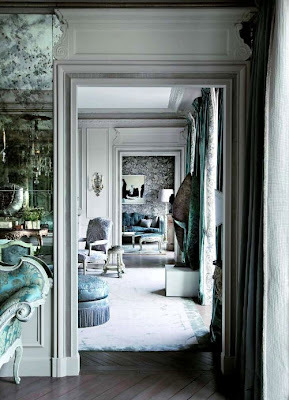 There is an Italian fantasy theme full of mercury mirrors and pale blues, grays, and greens. There is something about this apartment that reminds me of a more ornate version of a David Collins design. 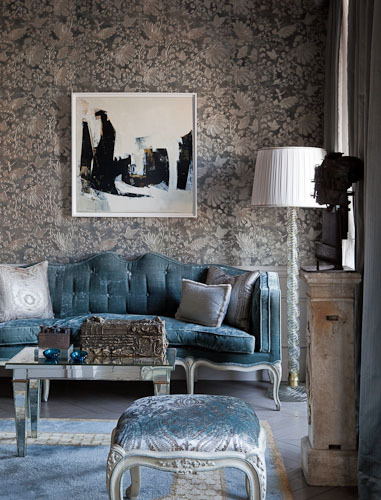 Chahan Minassian is not only an interior designer but also a gallery owner and antiques dealer in Paris at 7 rue de Lille. Wish I had known this when I was in Paris but I look forward to visiting him on my next trip. 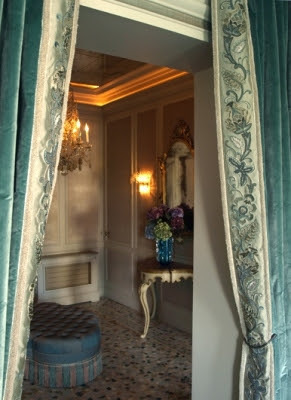 The dining room, salon, and petit salon are connected by an enfilade so the colors must flow from room to room. Although it's not credited, that looks like a Kelly Wearstler designed rug from The Rug Company. 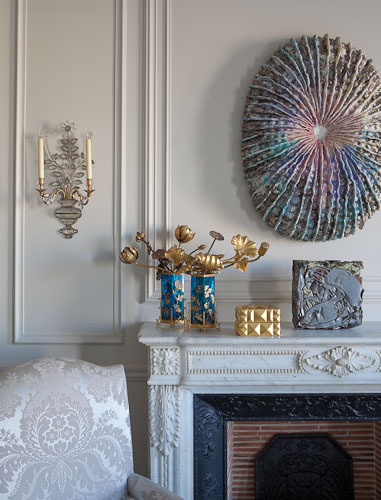 Beautiful objet d'art on the mantle. 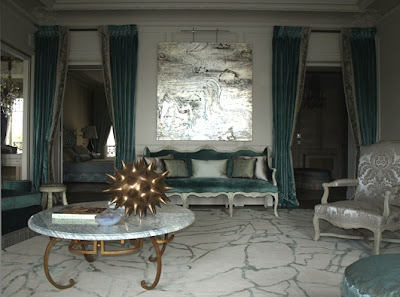 I love the contrast of the abstract painting and the antique furniture. 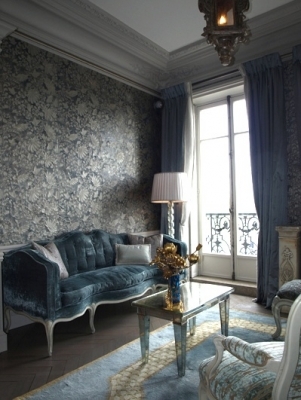 Another view of the petit salon from the designers portfolio. The painting might have been brought in specially for the magazine photo shoot. 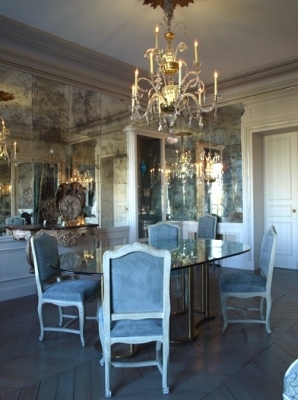 I love the mercury mirror tiles on the walls of the dining room. 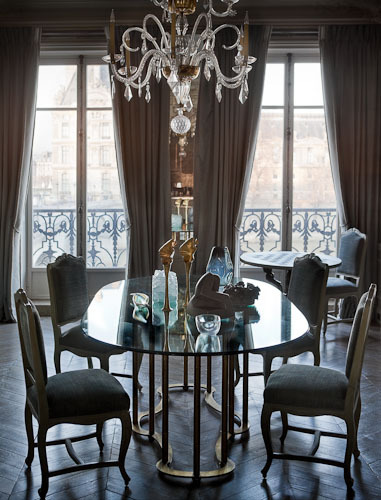 I can imagine that the room must glow when lit by candles for dinner. I think this might be the dressing room. 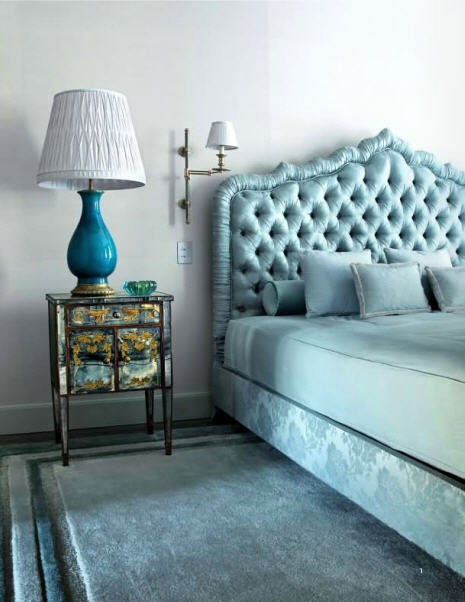 While the apartment is decorated in pale colors, it is full of subtle patterns and textures such as the fabric on the bed rails. 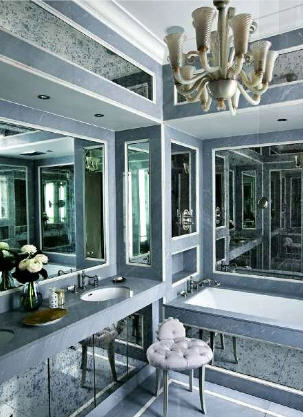 Mercury mirrors were also used in the bath which can expand the size of a small room. The owners of this apartment are one very lucky couple. C'est magnifique!